While you've been waiting for Oculus Rift to finally reach a consumer version, Valve has thrown their hat into the ring for the HTC built Steam VR headset,named Vive, will become available. "SteamVR, a full-featured, 360° room-scale VR experience. Available in partnership with HTC spring 2015, the Vive Developer Edition is a development kit that includes a headset, two single-handed controllers, and a system that tracks them all in the same absolute space. Experience high-end VR paired with everything you love about Steam." The next 3-5 years are going to be really cool and see on hell of a shift in gaming experience. While the Developer version is available in Spring of 2015, the consumer version should be available at a time to coincide with the launch of the Steam Machines. 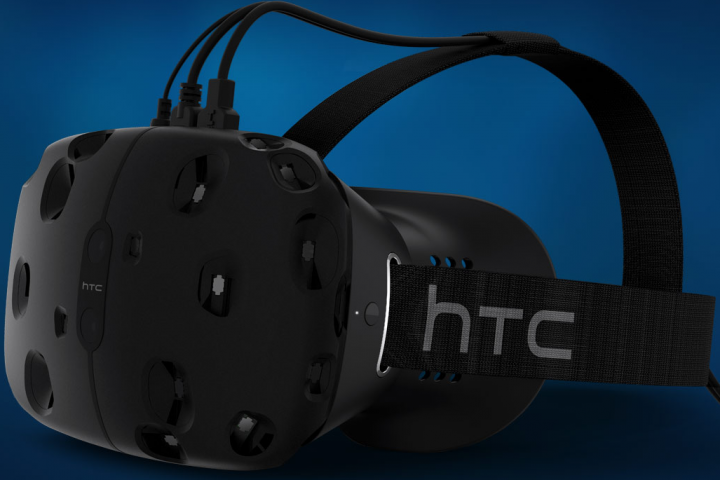 "Built to deliver high-end VR, the HTC Vive Developer Edition is the first look at SteamVR. The dev kit comes with a headset, two controllers and two base stations—everything you need to dive in and start creating new interactive VR experiences. It will be available this spring, followed by consumer edition hardware later in 2015."